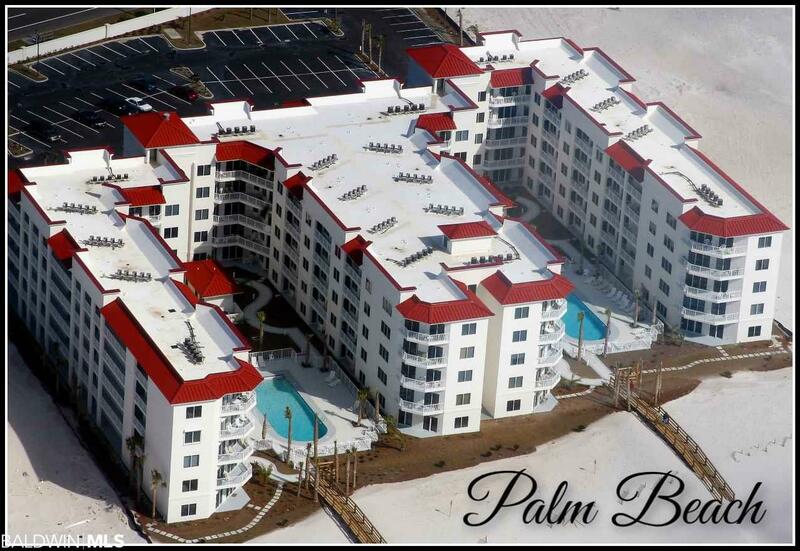 Palm Beach is a 5 story Mediterranean style luxury GULF FRONT complex located on the west side of Orange Beach. Avoid the crowds! 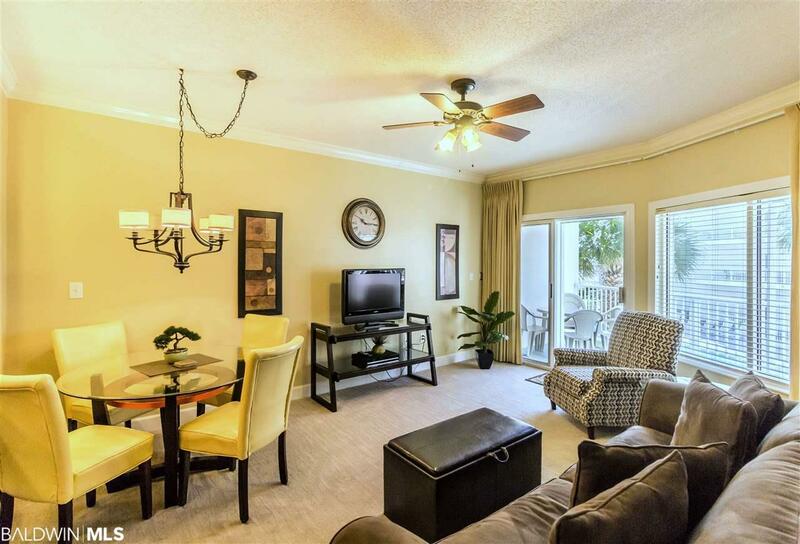 With only 100 units Palm Beach offers a wide stretch of white sandy beach on the western edge of Orange Beach, and features 2 large HEATED swimming pools. Walk across the street to a Coffee shop, restaurant & bar, or to the Back Country Trail, for more than 15 miles of bike/walking trails. 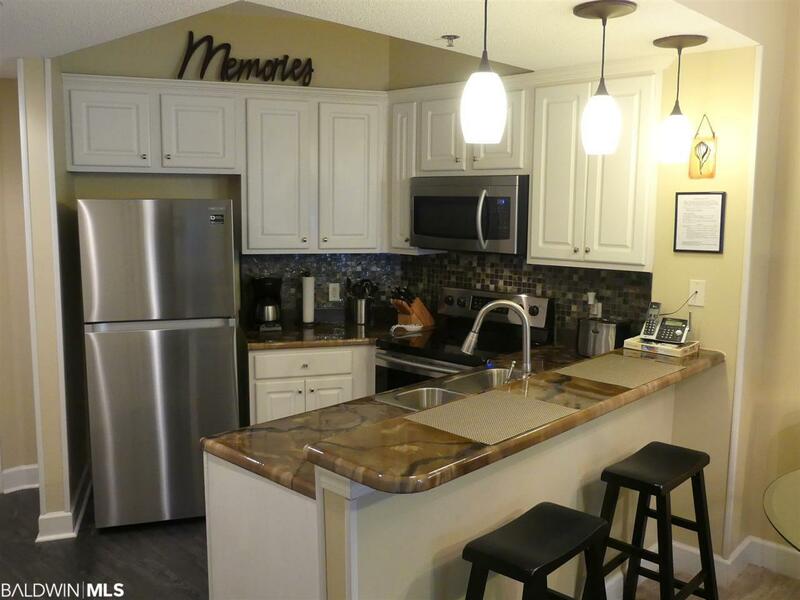 This SPACIOUS, tastefully decorated 1 bed 1.5 bath condo features a roomy master suite with double vanity, jetted tub and separate shower. Outfitted with electric hurricane shutters on all windows/glass doors. NEW stainless kitchen appliances in Dec. 2018. New stack washer/dryer in 2018. Gulf view from the balcony overlooking one of the pools. 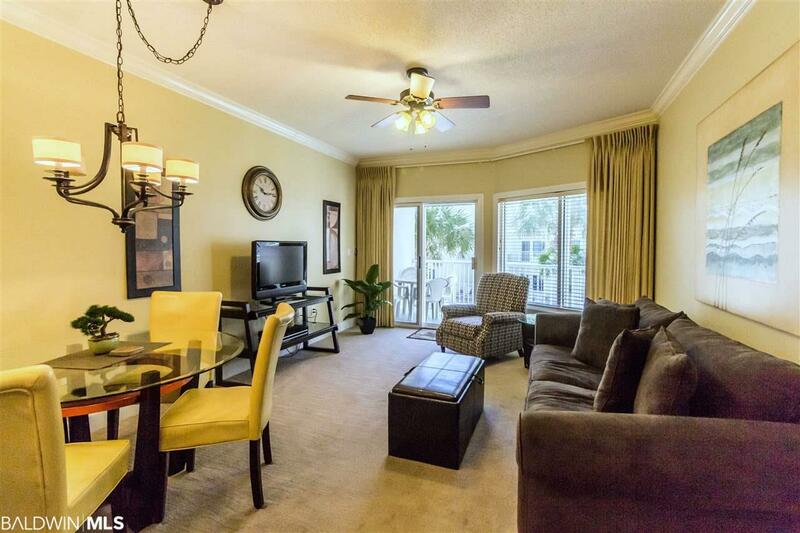 Sold fully furnished and ready for you or your guests... Just bring your flip flops!